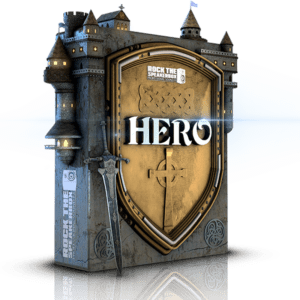 Recorded on the field and on stage, and designed by award winning sound designers, HERO contains over 7 GB of HD quality content spread across 2572 construction kit sounds and 274 designed sounds. Sword fights, stabbing, guillotines, impaling, battle cries, shields, drawbridges, armor and Foley begin to detail the vast collection of sounds featured within. Gear Used: Sanken 100k, Sennheiser MKH8040, Sennheiser MKH416, DPA 4011, DEVA IV.